Flush with the staggering success of the legendary R2, Industrial Automaton scrambled to capitalize on their newfound dominance. The R3 and R4 lines were specialty models tailored for two wildly disparate markets: high-tech government agencies and low-income urban customers. Outwardly, the R3 aped its popular predecessor, right down to the brightly colored trim on its white metal chassis. The most obvious difference was its head, a clear dome of durable plastex. The transparent hemisphere gave the internal sensor package greater range and proudly showed off the R3’s claim to fame: a newly updated Intellex V computer system. The Intellex V contained an impressive database with detailed statistics on every vessel in the Old Republic navy. Armed with this information, the R3 worked effectively with gunnery crews, security troopers, and naval chiefs of operation aboard large-scale Capital warships. Though not primarily designed as a starfighter plug-in, the unit could still hold up to five hyperspace jumps in active memory. Due to the specialized and sensitive nature of the R3’s programming, sales of the high-priced model were restricted to recognized government militaries. The Old Republic purchased 125 million of the droids during IA’s first production run, and the Empire later used R3s aboard its Star Destroyers and Death Star battle stations. 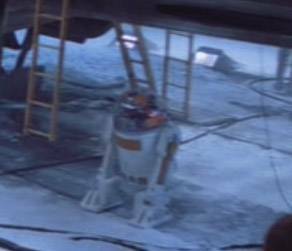 R3-A2 belonged to the Rebel Alliance during the last years of the Galactic War. 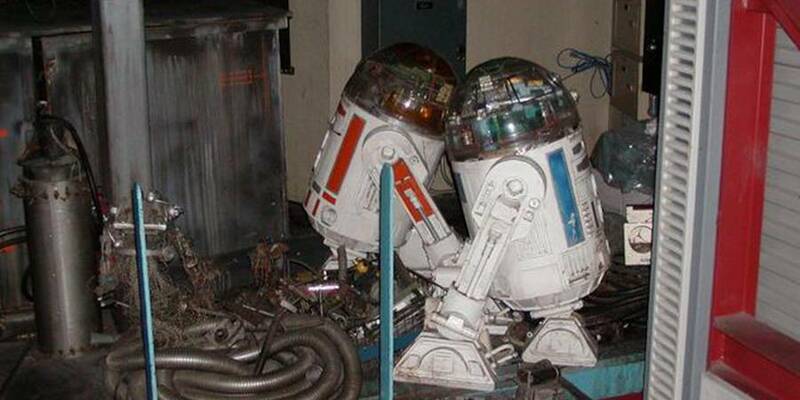 After the war, he was sold off cheaply (among many other droids) to Star Tours where he now works as a mechanic in Sector 2. 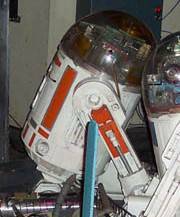 He and R3-D3 usually work the night shift and can be seen powered down in their sleep cycle near the spot where day-shift mechanic G2-9T toils tirelessly on that same old burnout.